Miner’s Lettuce, or Claytonia Perfoliata, is a wild and often foraged native of the American West. It got its common name from the California Gold Rush miners who sought its succulent spade shaped leaves that are packed with vitamin C to ward off scurvy. This week you don’t have to head to the wilds of the Sierra Nevada for your salad, as winter here in Lobachsville has provided us with the ideal conditions to grow this gem favored by prospectors and prospective chefs alike. 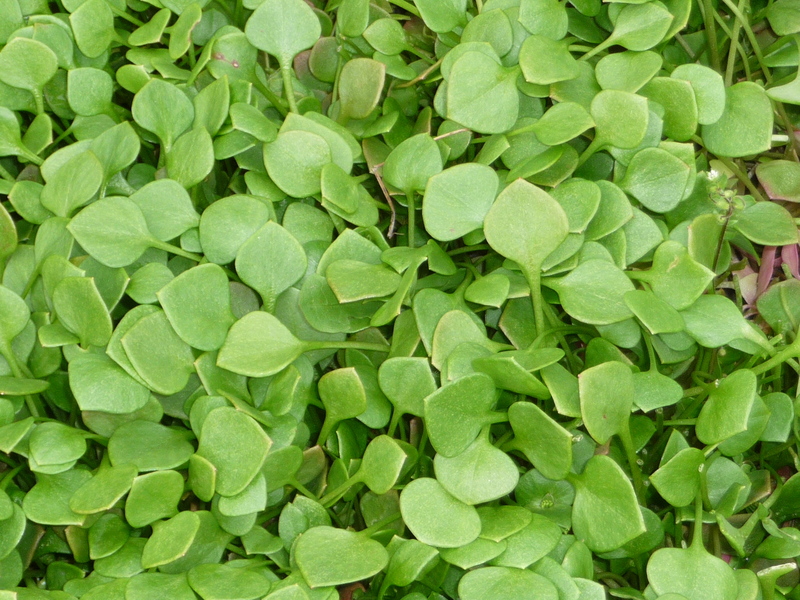 Miner’s Lettuce’s plump leaves can be used like spinach, as it has a nice minerality to it. Salad would be an obvious way to showcase its simple beauty (try it with Chris’ Mason Jar Dressing), but it would also make a nice addition to a pasta primavera, tossed in at the very end, so as not to wilt completely.